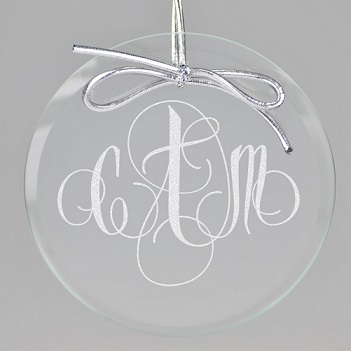 The Firenze Monogram Circle Ornament features an exciting monogram with swirls and curls. 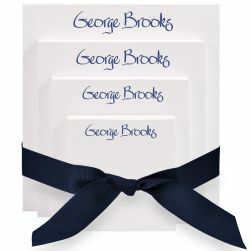 It's the perfect gift for a loved one, co-worker, client, new baby, new spouse or new couple. 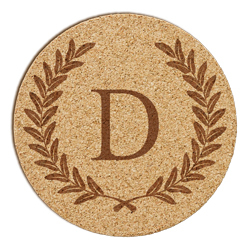 Also can be used as a unique place card, party favor or gift tag. 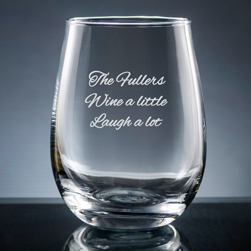 Precision-crafted from clear, red, green, blue or white glass. 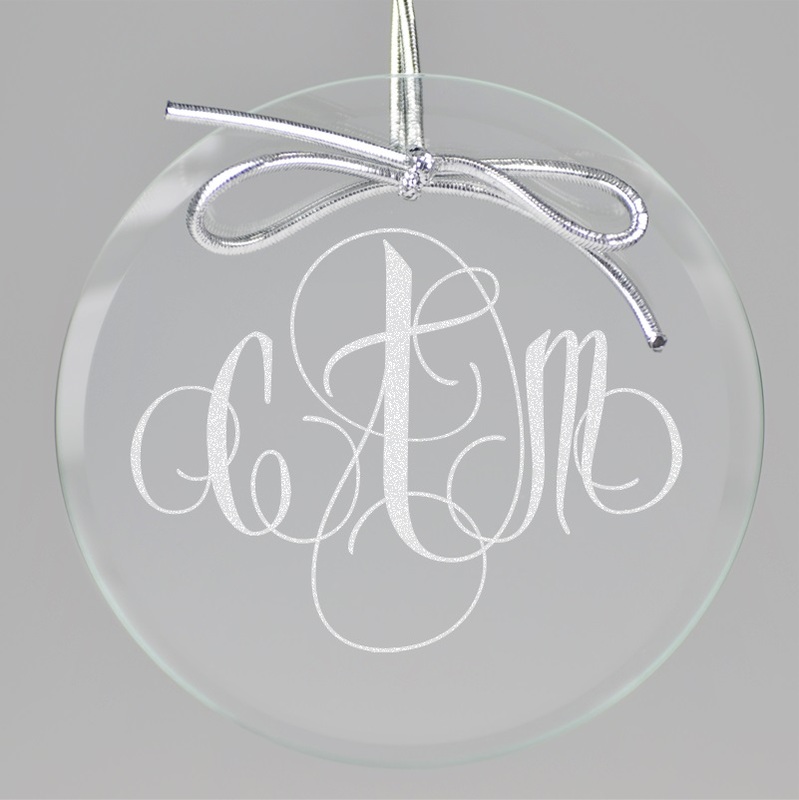 In clear glass, personalization and design are frosted, and the ornament includes a beveled edge. In red glass, personalization and design are clear. Includes silver ribbon for display and a black velvet pouch for safekeeping. 1/8" thick.